Mahinda Rajapaksa was removed as he was perceived as a thief. But we were robbed of the clothes we were wearing. That is the real story. I worship the people and beg them to select a good, patriotic group of politicians at the forthcoming elections, who can support the President in governance. I appeal to those who take foolish decisions not to level allegations against anyone, but question themselves. When a country is being governed, it should not be with wrath, jealousy and malice. If so, no government will prosper. My dear Mr Dudley Sirisena, Since you are a person concerned about the environment I kindly appeal to you to make a special request to your brother President Maithreepala Sirisena to take action against the person responsible for clearing thousands of acres of forest land to build houses for his own community. Quote..["Mahinda Rajapaksa was removed as he was perceived as a thief. But we were robbed of the clothes we were wearing. That is the real story. I worship the people and beg them to select a good, patriotic group of politicians at the forthcoming elections, who can support the President in governance."] But MR is one of President's best pals. We see them seated next to each other like mango friends in many functions. the first one you will bag is your own brother. he is the one who gave minister posts to ones who were rejected at polls through the list! so much for fighting corruption! what a mess this country is in!!! So another family is starting to get in to politics. What a mess. To select such leaders in this country just think how stupid the public should be. 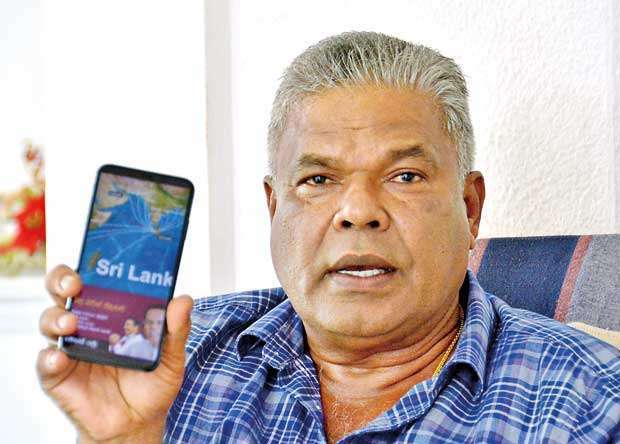 There are no vacancies in Govt: for the Sirisena Tribe, this ungrateful man wrecked the economy of this country for the GREED of power, two timing two tongued uneducated grama Niladhari we will rid of him next time. What qualifications and what special skills do you bring to the table to govern Sri Lanka. That is skills apart from thieving. Sri Lanka is a breeding ground for family politics. When voters does not think about the country nothing can be done. Let another clan join with Senenanayaka, Bandaranayaka Rajapaksa. Me rata aithi matai mage pavule aytai.